Packing on the Pregnancy Pounds: How Much is Too Much? When you’re pregnant, you would certainly expect to gain some weight. However, as your doctor will tell you, many problems during gestation are rooted from packing on the extra pounds. Make sure to stay within a healthy range in weight to decrease the risk of complications before, during, and after birth. Here's a quick guide to safely maintaining pregnancy weight gain. For the average sized-woman, a minimum of 20 lbs. (or 9 kilos) is a good start. On average, women tend to gain between 25 to 30 lbs. (11.3 to 13.6 kilos) during pregnancy, but keep in mind that if you have a smaller build, 30 lbs. may be pushing it. Soon-to-be-moms with pre-existing conditions or who were overweight prior to pregnancy should closely monitor their weight gain to avoid possible complications. Poor weight gain or sudden changes in weight could be signs of common pregnancy disorders like gestational diabetes or pre-eclampsia. 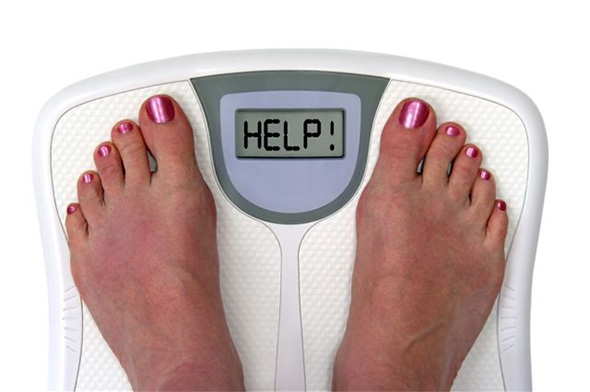 Consult with your doctor if you experience unusual symptoms accompanying changes in weight. How do I keep my weight manageable? 1. Don’t eat “for two”. As tempting as it may be to double up on servings of our favorite meals, it’s not a good idea. The average diet is high in refined carbohydrates, contains very little protein, and has almost no nutritive value. It can only lead to a bigger waistline and nearly no added benefit for the baby. Instead, if you want to eat more of something, eat more vegetables and protein- your baby could use as much of these goodies as possible while it grows in your belly. Pop in a boiled-egg when you get hungry between meals, or start your days with a glass of juiced vegetables. 2. Don’t just focus on what your baby needs, but focus on what you need as well. Rather than taking “just enough” nutrition for the baby, take in enough to support your own body as well. If you’re sick, the baby can get sick, too because it takes what it needs from you, so if you’re lacking in essential nutrients, you’re affecting not just your baby’s development, but also your ability to provide a nourishing, safe environment for the little one as well. The best way to protect your baby’s health is to look after yours. Pre-natal vitamins are a good start, but it’s best to fix your diet and start early by going on a regular exercise routine at least one year before trying to conceive. 3. Engage in physical activity. Unless your doctor says otherwise, find exercises that are preggo-friendly. Most “regular” exercises are safe until the end of second or early third trimesters, so get moving! Walking and swimming are generally safe, but if you’re looking for a bit more, try pregnancy yoga. If you’re confined to bedrest, make sure to ask your doctor how to maintain some level of physical activity in order to avoid gaining too much weight. Always consult with your doctor before starting a new exercise regimen, even if you’ve had previous pregnancies. Increased urinary frequency is normal during early pregnancy due to the pressure on the bladder by the uterus. Nonetheless, remember to drink lots of water to keep your system “flushed out” and decrease the risk of bladder/kidney infections. Staying hydrated throughout the day can also make you less hungry, so you can help curb some of those nasty cravings.